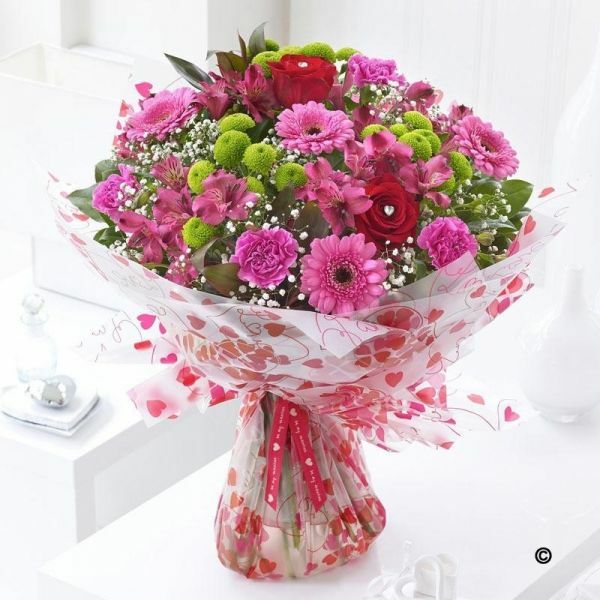 The true love bouquet includes rich red roses, cerise germini, green button chrysanthemums and fluffy pink carnations with gypsophila. Long lasting alstroemeria offer a nice surpirse upon opening. Finished with a little sparkle.